We all know i have a distinct style. I embrace it, it is me, it suits my shape and expresses who i am. Super cute, a little cheeky and comfy. They are also very affordable.. It is US based company so you can either purchase from their web store or there are a ton of Australian based stores that are stockists. 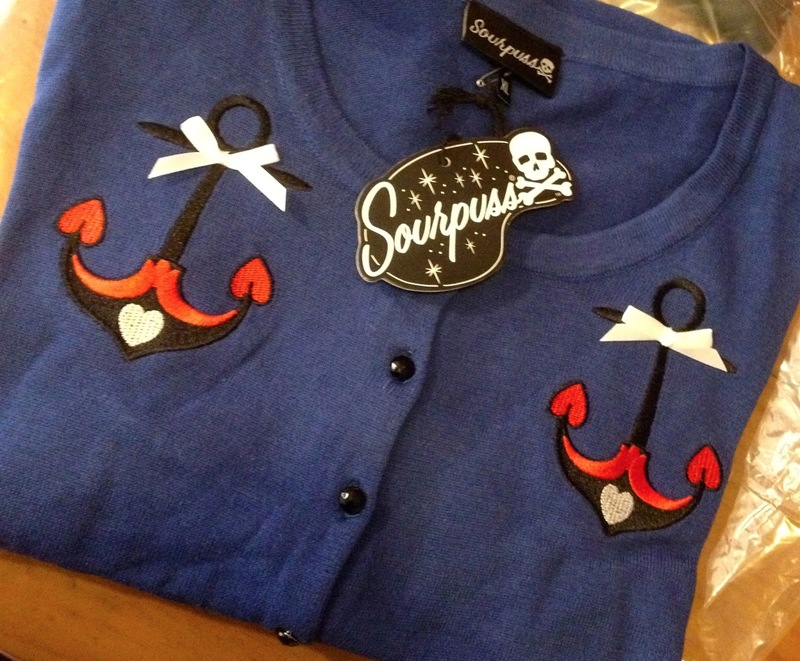 I have a slight obsession with varsity jackets at the moment so i almost squealed with happiness (ok so i may have actually squealed and done a happy dance) when i saw Sourpuss had some in their new range. I am not sure if i can express how nice this little jacket is. The fleece inside is super soft and warm, it is not bulky in anyway and fits so nice. It is love honestly, so great. 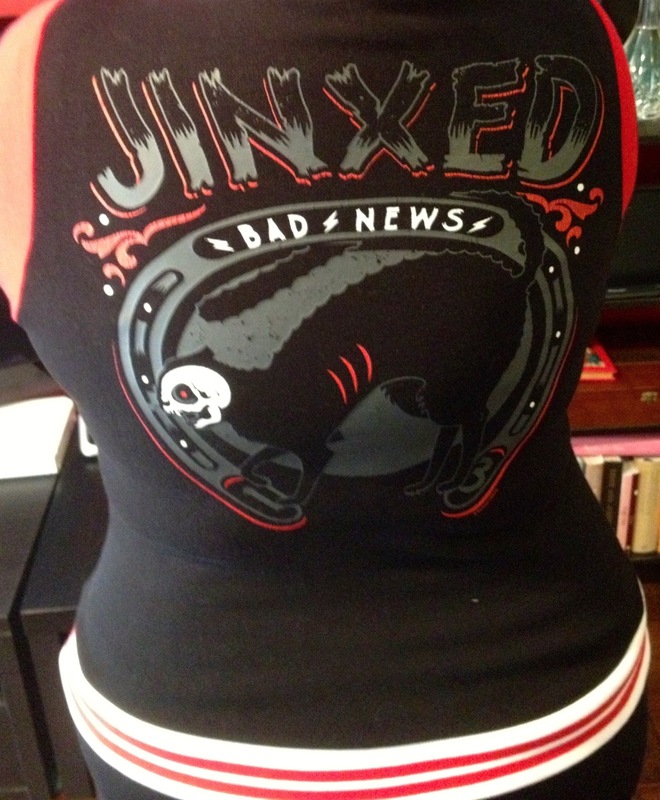 It has some lovely details with the Jinxed image on the back and a cute little red skull and crossbones on the sleeve. This is the item that started the afore mentioned happy dance. When i saw it in the store i had to get it. The fit is very nice (it is a little gappy at the buttons at the moment but that is nothing new for a brand new cardi on me). the material a lovely super soft knit. 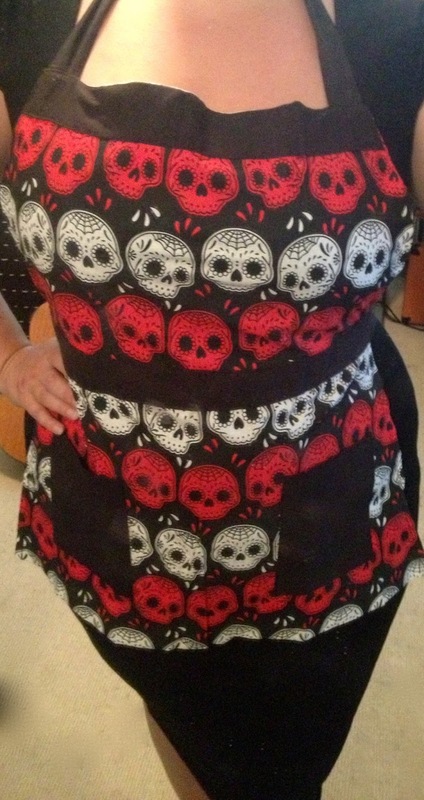 Uber cute little skull on the front and the bows on the pockets are just adorable. This will definitely be a staple item in my autumn / winter wardrobe. 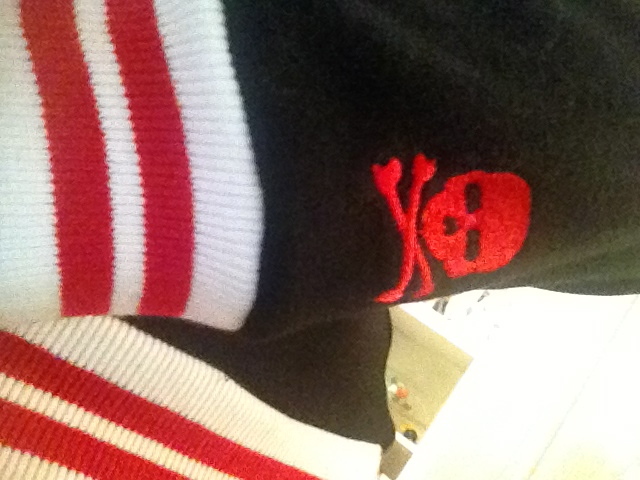 That is all for the varsity themed items. I also got.. The Vavavoom top checks all the boxes really. 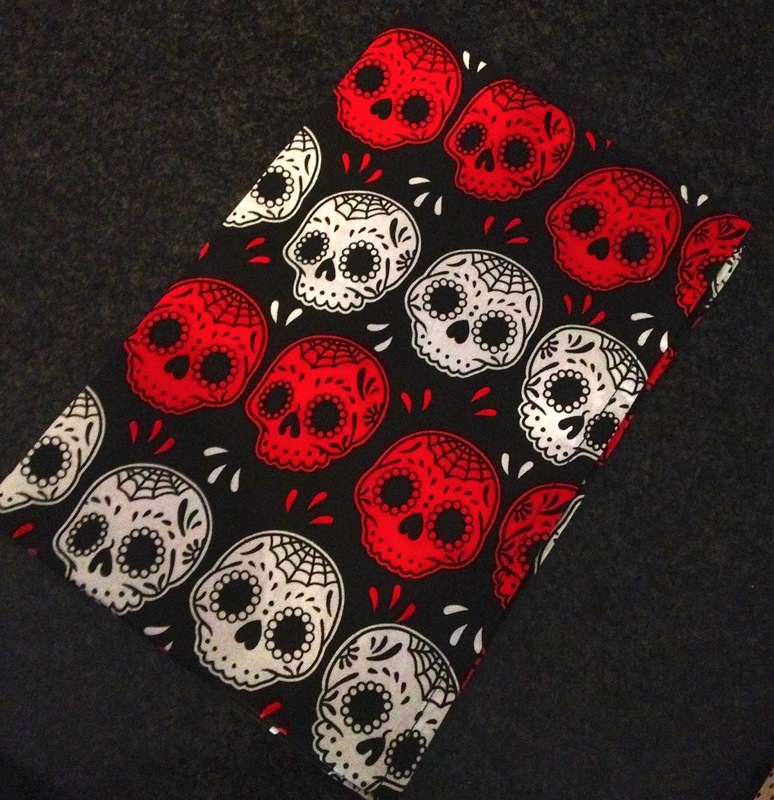 It is such a lovely super soft material but does not roll up at the bottom. Is super stretchy so the bust fits in without any issues. The sleeves are super cute and have just the right amount of coverage. 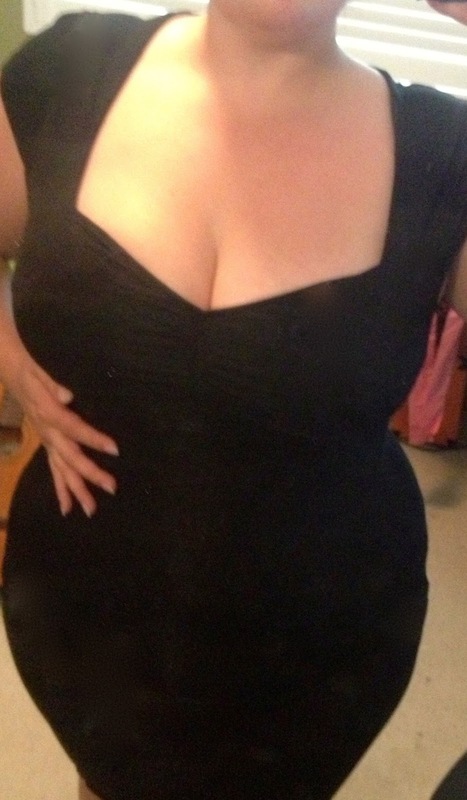 Very flattering shape, looks awesome with a black pencil skirt. I would really love to see this shirt in exactly the same cut but a 3/4 sleeve as well. I wear a lot of cardigans. They are great for work, keeping me warm and helping with the look. When i saw this one i had to get it. 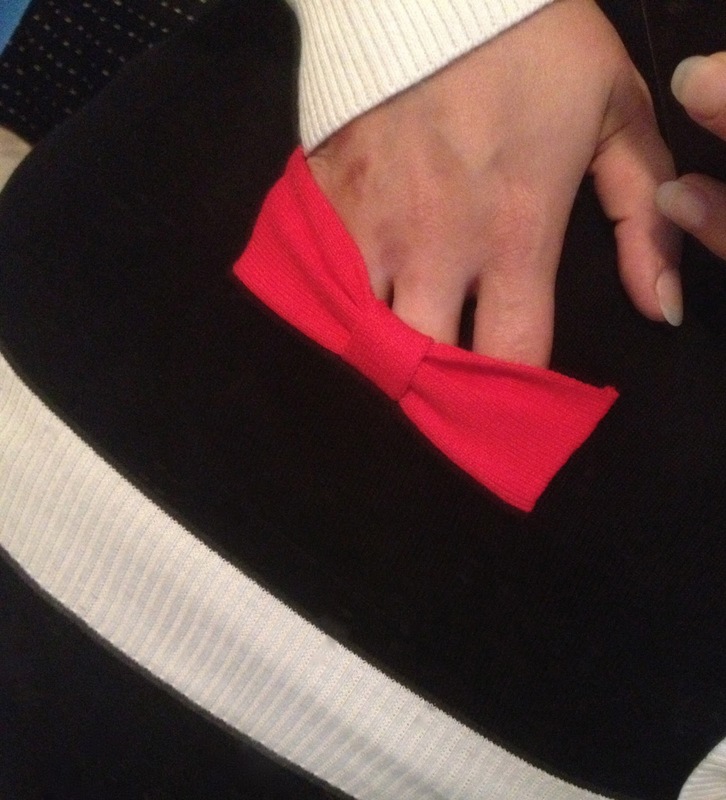 The fit is good, sleeves are not too tight but fit nice and close to your arm so are not baggy. The material is a really nice knit. 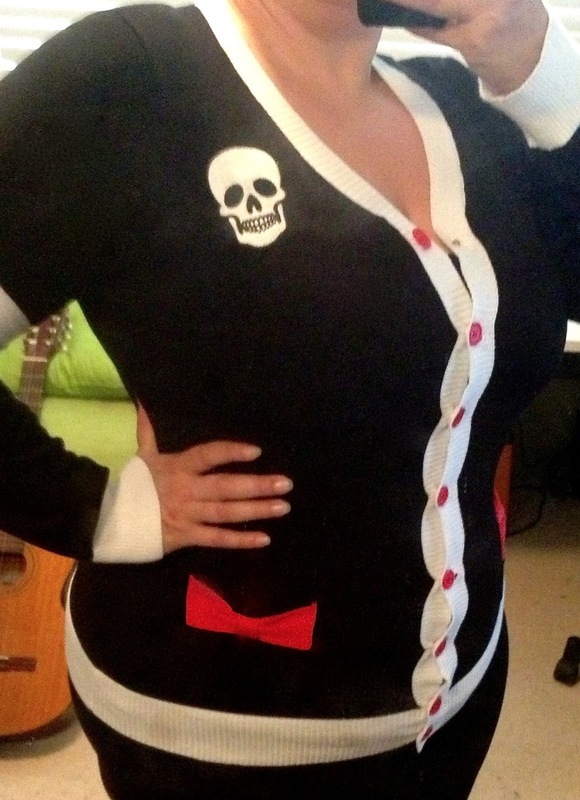 Sourpuss cardigans are always good, so i never have doubts on the fit or look. I completely love the little cherry detail. Super cute, a little girly and sweet. Being slightly addicted to home-wares i had to get a few things. maybe one of my upcoming sewing projects..
alas the combination of my bust and this lovely little top was just not meant to be, the fit was small and there was no way in hell i was squishing the G cups in there. I will hold on to it for a while hoping that maybe it might fit one day.. we will see but for now.... it is not meant to bee mine.. If you have a smaller bust i would definitely say it is worth a look, the material is lovely with a bit of stretch. 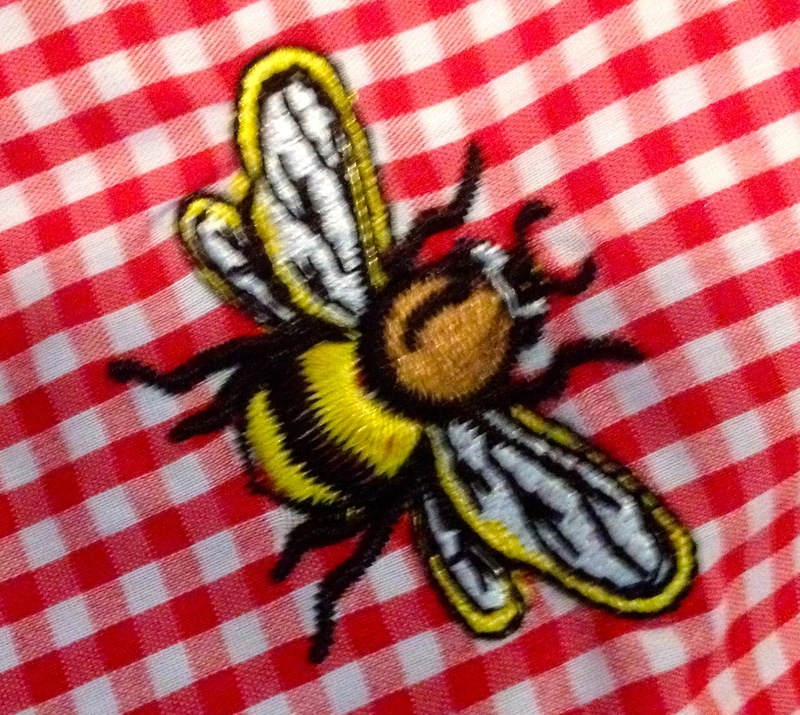 It has a tie back to bring it in at the waist and a so so cute little bee embroidered on the front. 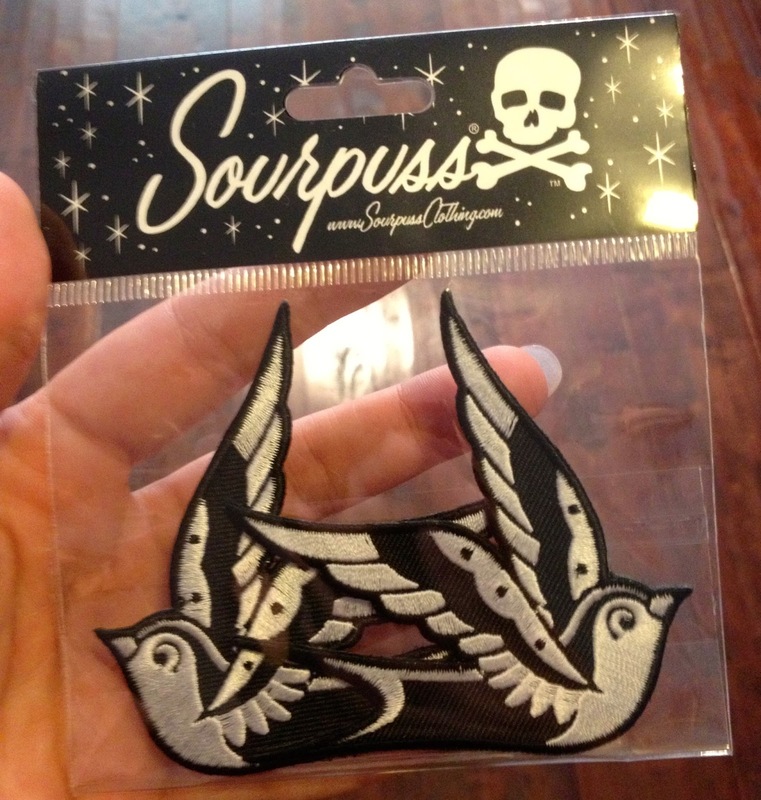 Needless to say i am super happy with my latest Sourpuss haul. Have you started stocking up for the next season yet? if so, do share, i would love to hear what your latest favourite buy was. 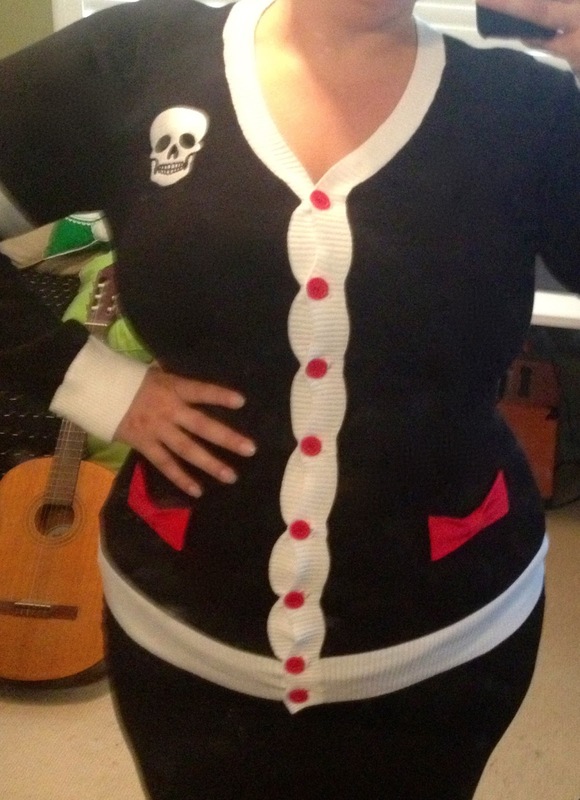 Those cardigans are amazeballs and I LOVE the embroidered embellishments.